Autodesk® MatchMover™ is a camera tracking application that automatically captures 3D camera path and camera parameters from 2D video and film image sequences. After capturing a 3D camera path with MatchMover, you can export the camera data to a number of file formats supported by 3D animation or compositing programs. This allows you to work with the camera data in your favorite animation or compositing application to accurately place 3D objects into a video or film sequence. Providing a straightforward and cost-effective way to mix 2D live-action footage with 3D animation and special effects, MatchMover allows you to take advantage of the 2D world of film and the 3D world of animation. 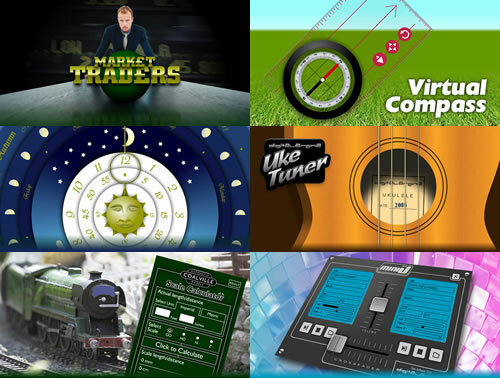 Blender is a free and open source 3D animation suite. It supports the entirety of the 3D pipeline—modeling, rigging, animation, simulation, rendering, compositing and motion tracking, even video editing and game creation. Blender is well suited to individuals and small studios. xNormal is an application to generate normal / ambient occlusion / displacement maps. It can also project the texture of the highpoly model into the lowpoly mesh ( complete texture transfer, even with different topologies ). It includes too an interactive 3D viewer ( with advanced shaders and realtime soft shadows / glow effect ), some Photoshop filters and importers/exporters for 3dsmax and Maya. It supports high levels of parallelism using multicore/multithreading, distributed/parallel rendering, ray tracing and advanced GPGPU techniques. Anim8or is a 3D modeling and character animation program. While it is far from a complete professional level application like 3DStudio MAX or Maya, it has enough capability to be of use to others. Art of Illusion is a free, open source 3D modelling and rendering studio. Many of its capabilities rival those found in commercial programs. Highlights include subdivision surface based modelling tools, skeleton based animation, and a graphical language for designing procedural textures and materials. For years, artists have used Discreet's gmax 3D modeling and animation tool to create content for video games. With this powerful program, you can create your own in-game content (including characters, maps, weapons, and other objects) for great, gmax-compatible games. Take the hard work out of modelling plants. PlantStudio Botanical Illustration Software is a tool for creating 3D plant models and 2D illustrations. PlantStudio simulates flowers, vegetables, weeds, grasses, and herbs using a simulation of growth and structure. The Persistence of Vision Raytraceris a high-quality, Free Software tool for creating stunning three-dimensional graphics. Wings 3D is an advanced subdivision modeler that is both powerful and easy to use. Wings 3D offers a wide range of modeling tools, a customizable interface, support for lights and materials, and a built-in AutoUV mapping facility. You can make gray-anaglyph, color-anaglyph, interleave image for LC-shutter glasses, images for SHARP 3D-LC Display. Advanced anaglyph production in Red Cyan, Red Blue, Yellow Green, Amber Blue, interleaved and a variety of other formats. Produce 3D anaglyph movies from twin lens captured footage, or twin virtual camera 3D animated renders. Automatically generate stereogram images with the same software used to make images published in the Hidden Treasure, 3D Magic History and TJ Mook Magical Eye series books. Stereogram Maker is a program for creating stereograms from two types of 3D data: AutoCAD DXF files, or range pictures (z-buffer) in JPEG or Windows Bitmap format. SISgen creates extremely high quality single-image stereograms (SIS) from user-supplied patterns and greyscale depth-maps. Easy to use stereogram or SIS (Single Image Stereogram) generator. Create fast Single Image Random Dot Stereograms (SIRDS) and Single Image Stereograms (SIS). With Bricks'n'Tiles you can create perfectly seamless brick textures in photorealistic quality in a couple of minutes. Just select a few bricks from any source images such as photos taken with a digital camera. The Wood Workshop is a free seamless texture editor that specializes in the creation of seamless wood textures. Along with curating the best free software for creativity on the web I also like to play with design and code. As a former interactive media teacher, and teacher trainer in e-learning, it was a way of keeping myself active outside of the classroom. As a result here are a few tools I created in response to personal, student or teaching needs. If you find them useful please download, keep and share. Thank you for visiting my site. Follow me on Twitter or Facebook.